As we can see at the H4 chart, Eurodollar continues falling inside the downtrend to reach its main target at level of 1.1120. 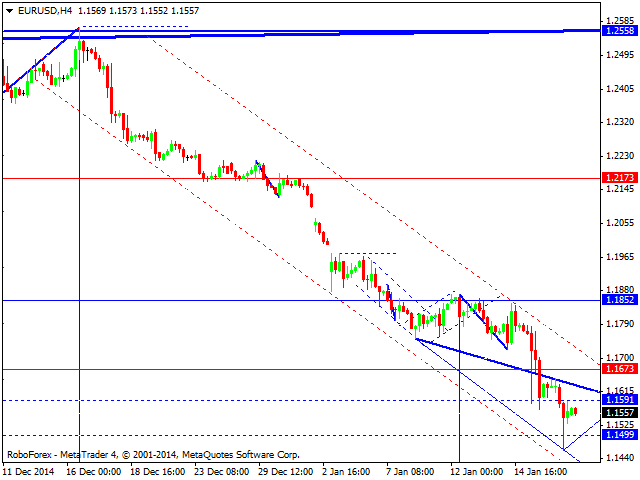 The local target of the continuation pattern is at 1.1420. After reaching this target, the pair may form a correction towards level of 1.1850 (at least) and then continue falling towards the main target. 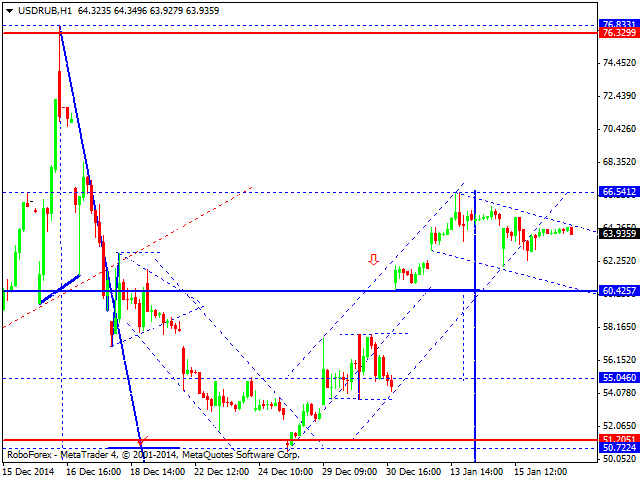 If the price continue falling without any corrections, it may extend this up to level of 0.9330. 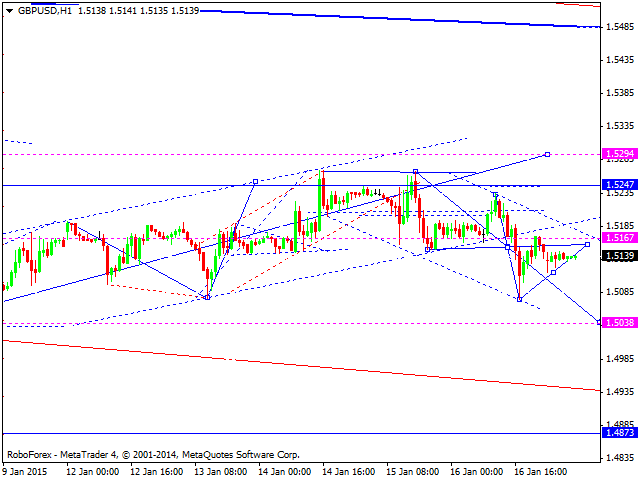 As we can see at the H1 chart, Pound is trying to start a correction; which may reach level of 1.5300. After that, the price may continue falling towards level of 1.5000 and then start a higher correction. After the decision made by the Swiss National Bank, Franc has strengthened against the US dollar by 30% in a matter of seconds. As we can see at the weekly chart, the price may consolidate for a while and then continue falling. The next target is at level of 0.7170. As we can see at the H1 chart, Yen is still falling inside the third wave towards the predicted target at level of 115.00. After that, the price may return to level of 117.80 and then start a new descending movement towards level of 113.85. 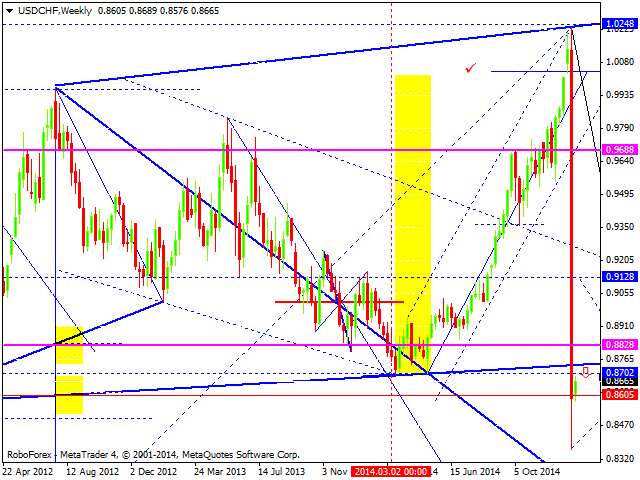 As we can see at the H4 chart, Australian Dollar is attempting to form a correction towards level of 0.8325. 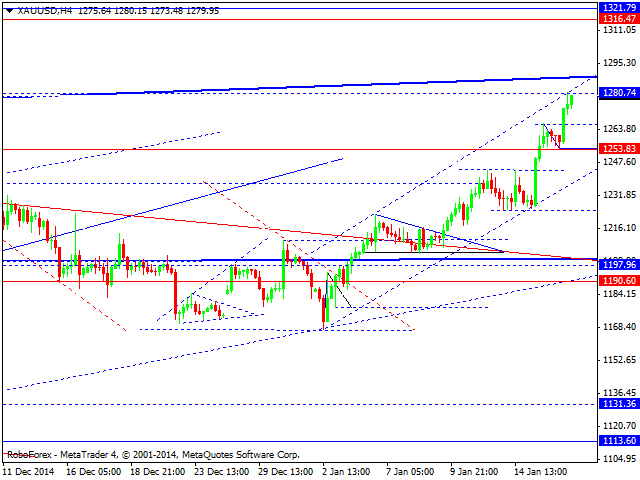 After that, the market may continue falling inside the downtrend. 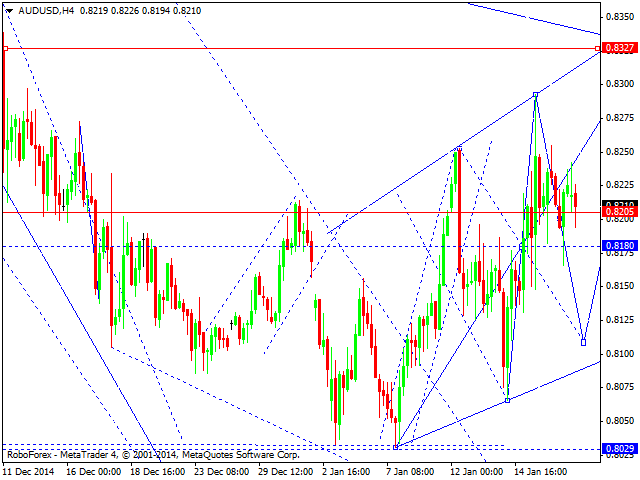 The target is at level of 0.7940. As we can see at the H1 chart, Ruble continues moving inside an ascending structure, which may be considered as the fourth wave. Later, in our opinion, the market may break an ascending channel and form the fifth descending wave with the target at level of 44.00. 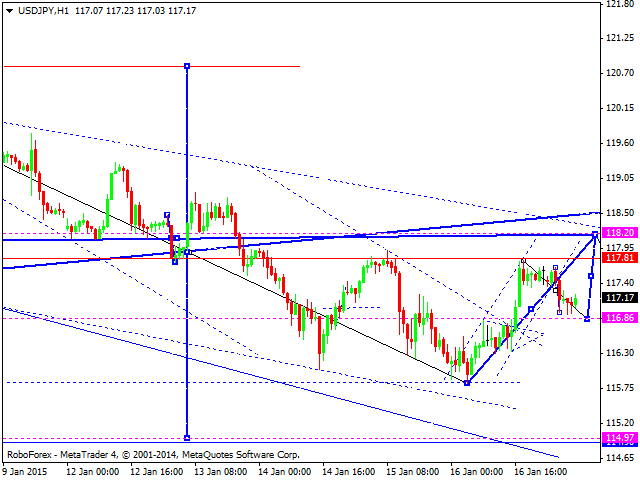 As we can see at the H4 chart, Gold has reached its upside target. We think, today the price may start forming the fifth descending wave to reach level of 1113. Later, in our opinion, the market may form another ascending structure to return to level of 1250 (at least) and then resume falling inside the downtrend.